Global oil giant, Saudi Aramco, has set up a CNY71.2 billion ($10.6 billion) joint venture in China’s Liaoning province with two local partners as it looks to set up a new chemicals plant in the northeastern region.Saudi Aramco, China North Industries and Panjin Xincheng Industrial Group set up Huajin Aramco Petrochemical on March 23, state-backed news site The Paper reported. They had agreed to establish the JV last month, with China North holding 36 per cent, Saudi Aramco 35 per cent and Xincheng Industrial 29 per cent. The trio plan to build a fine chemicals and raw material engineering facility in Panjin, Liaoning, and turn the area into a high-end petrochemical industry base, the report added. It is undergoing design and planning and expects to enter operations in 2024, with annual output tallying 15 million tonnes of refined oil, 1.5 million tonnes of ethylene and 1.3 million tonnes of paraxylene, pumping yearly revenue up to more than CNY100 billion. 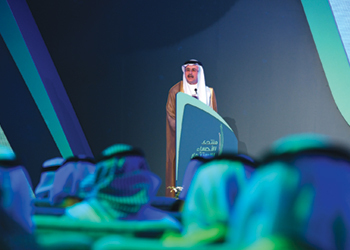 The facility will help turn Panjin into a manufacturing base, logistics hub and technology centre, said Saudi Aramco President Amin Nasser, adding that the city will become a pillar for development and to the regional economy of Liaoning province. China’s cabinet, the State Council, has also backed the project in its new revitalisation programme for Northeast China.